The Juba City Council yesterday launched the construction of Konyo Konyo Bus Park into a modern one. Silvesto Amin Bala, Deputy Mayor for Administration and Finance said they would ensure that Bus parks within Juba city were upgraded to good standard. “We started with the organization of markets and now we are launching the construction of the Bus Park,” Bala said. He added that the City Council was ready to provide services to the residents in Juba. The Deputy Mayor for Physical and Infrastructure Development Thiik Thiik Mayardit said they have started delivery on their plan. “We are not going to leave any stone unturned and we shall be happy when we see all citizens of South Sudan are enjoying the services of Juba City Council,” Mr. Mayardit. He added that after the completion of the Bus Parks construction will shift to Jada Bridge, Haaba Liep and Juba Bridge. Mr. Mayardit appealed to the citizens to give them the chance so that they will provide adequate services to them. 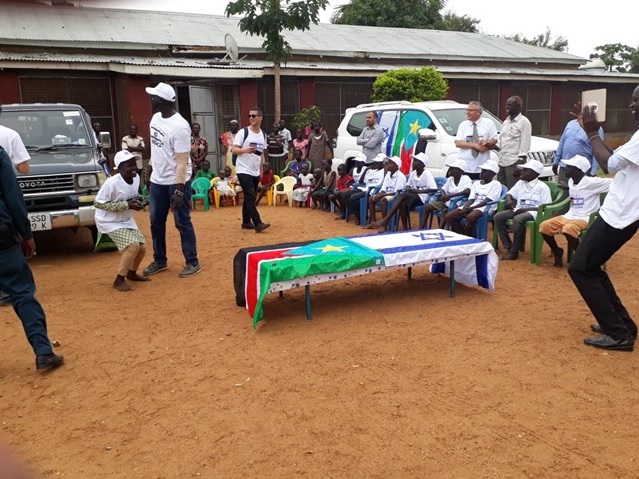 However, Mayardit warned the public not interfere with their work, “We are going to work very hard so that Juba can be seen like other cities,” he said. He advised the Mayors from other states to pay a learning visit to Juba city council and see what they are doing. “We are not happy if we are the only working in Juba and other cities are not doing what we are doing,” Mayardit.